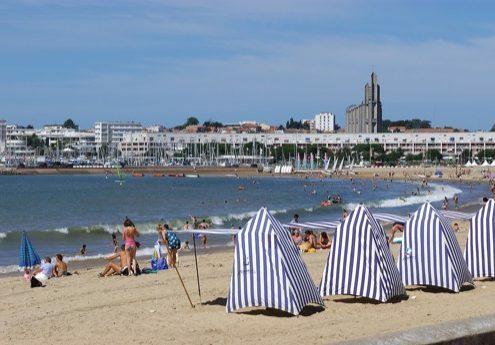 The beautiful sandy beaches of the Côte de Beauté around Royan are a main feature of your holiday in this area. Ranging from the shallow estuarine beaches at Meschers to the surfing beaches of the Côte Sauvage (wild coast), the variety is there. There is also a Sunday morning market in Royan which is full of atmosphere and regional things to buy. There is both an open and a covered market so the weather holds no constraints. 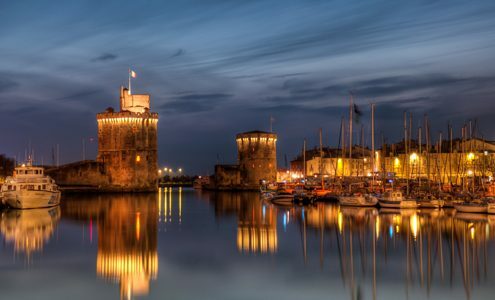 La Rochelle is under an hour to the north with its historical buildings, restaurants, and famous aquarium. In our view it is one of the most beautiful ports in France. A day spent ambling amongst the shops and cafés may even be the highlight of your holiday. The port was originally used for the export of wines and cognacs from the region and is steeped in history very much of the era of d’Artagnan and the three musketeers. Cognac, only 40 minutes away, is a beautiful town which stinks of money from generations of wealth from making cognac. 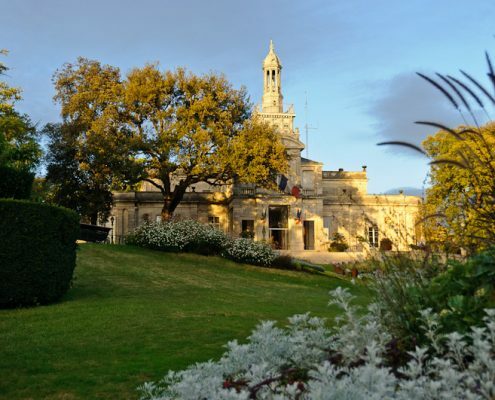 The privilege of staying so close enables you to visit the famous Cognac chateaux, an absolute must at least once. The various trips take in river crossings, train rides, historic presentations to make the tour very professional. We are “Ambassadors” for one of the famous producers enabling you to benefit from significant reductions on bottles of cognac and free entry. 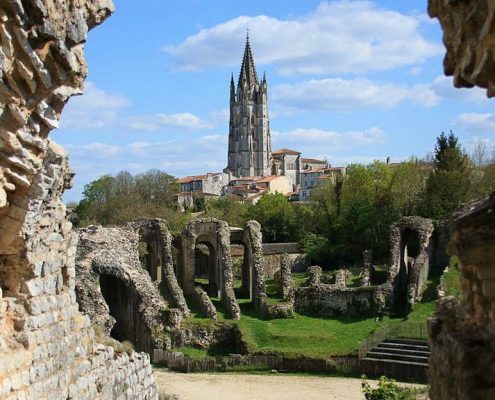 The impressive Roman town of Saintes with its remarkable amphitheatre and other Roman relics has the River Charente running through it. Its elegant buildings and floral parks encourage you to return after your first visit, and the daily markets provide a lively atmosphere and all the fresh produce you can imagine. A trip on the river with lunch has been enjoyed by many of our visitors.